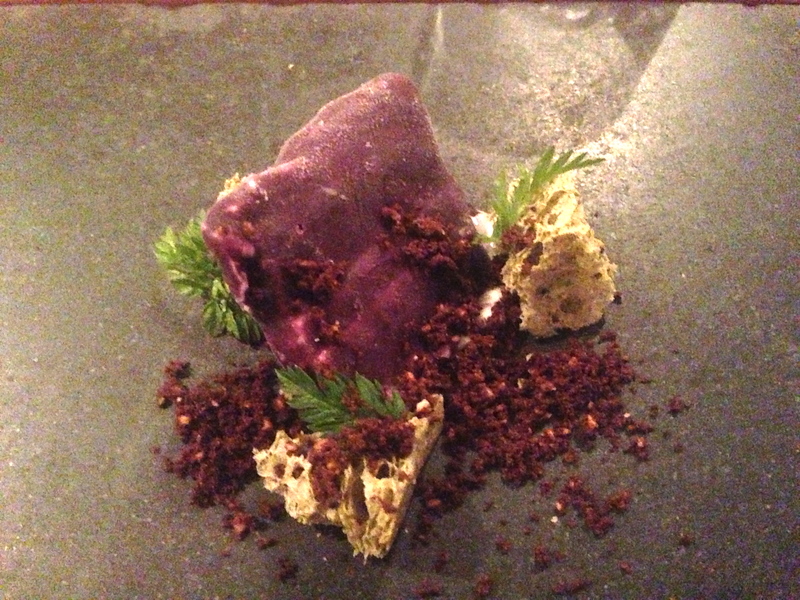 “Wowzers it’s ace” is the the first thing I have to say about the restaurant L’Enclume and I can see why it made top spot in the Good Food Guide UK. 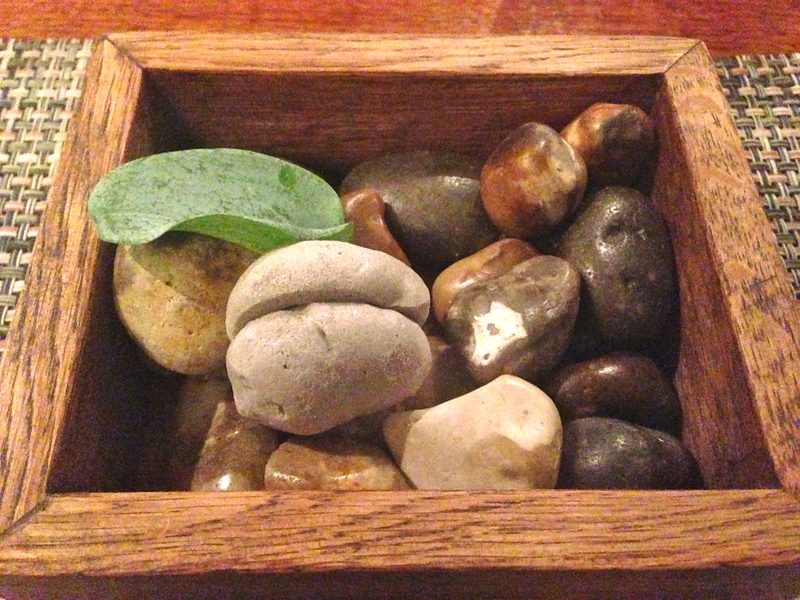 I’d been hoping to get away for a few days at the end of the year and decided to forego my usual trip to Cornwall and visits to Nathan Outlaw or Rick Stein and instead head north to the Lake District and try Simon Rogan’s foraging influenced menu. It’s not cheap but the food was sensational, bar one dish of dover sole which I felt was very slightly underdone and so didn’t finish it. 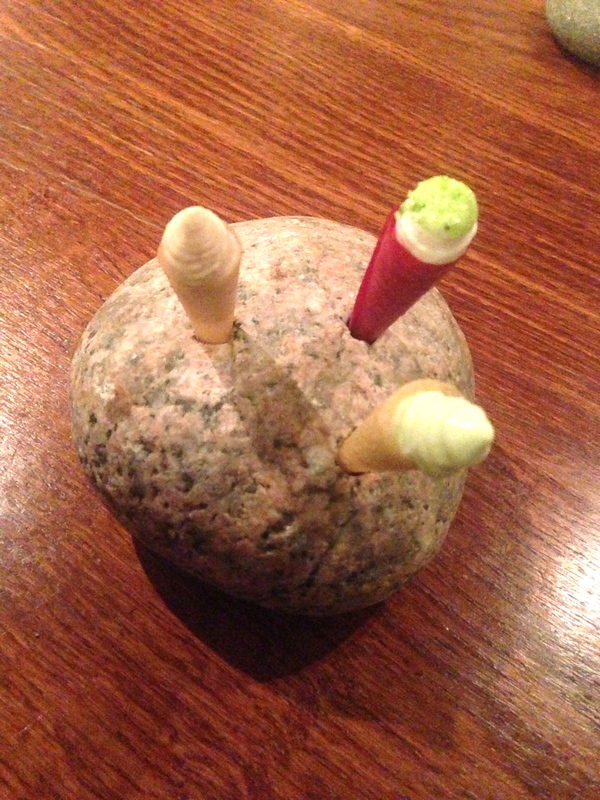 Don’t go expecting a three course – starter, main, pudding – set-up as this is a culinary journey. It’s as though the kitchen wants to show off all their brilliant ideas and so give you a little of everything. 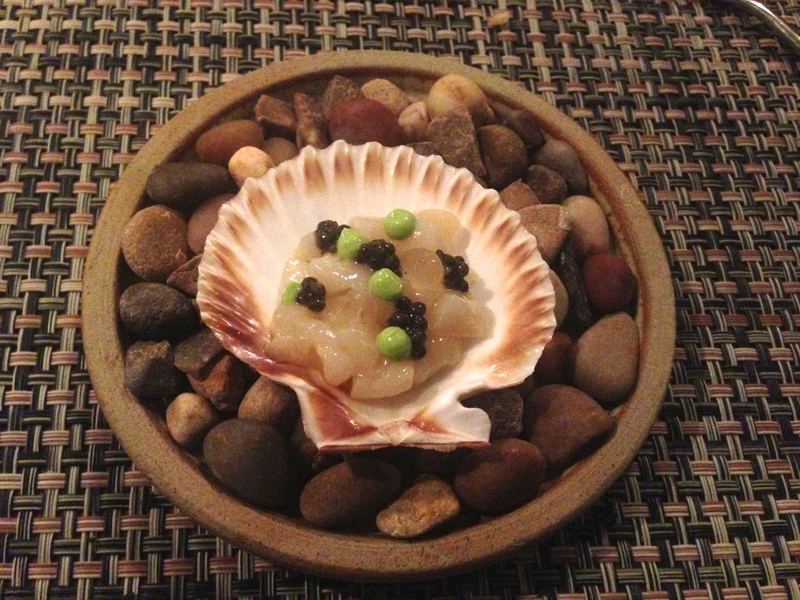 The menu changes each day and, as the terrific manager Sam Ward explained before I ate, while the prospect of 22 courses sounds overwhelming many dishes are little more than canape-sized and I left feeling full but not stuffed. A word of advice is to go steady on the alcohol, I had local pale ale with the early courses, a glass of manzanilla, one glass of red, one of white and sparkling desert wine and that was plenty. 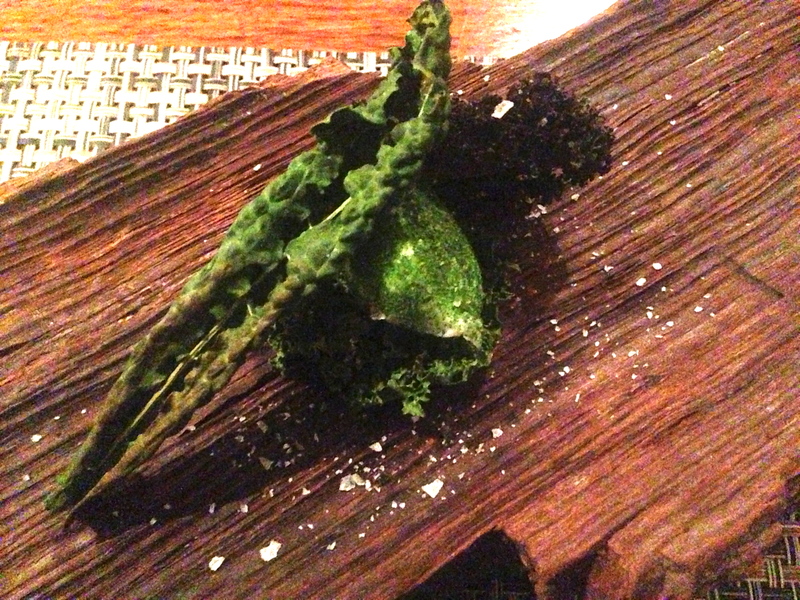 The staff are attentive and friendly and the environment is much more relaxed than many restaurants which are based in London. It’s a real destination for foodies so you aren’t going to get a load of bankers flashing the cash which you do in some Michelin starred places down south. My highlights on the menu were the “smoked eel and ham fat” – think supercharged fishy, salty mini scotch egg but with eel instead of egg, the “shrimp , brown bread and lettuce” – a great spin on the classic prawn cocktail but with brown bread ice cream, and “aged dexter with smoked marrow” – beautiful rare beef served with melt in the mouth pieces of marrow. 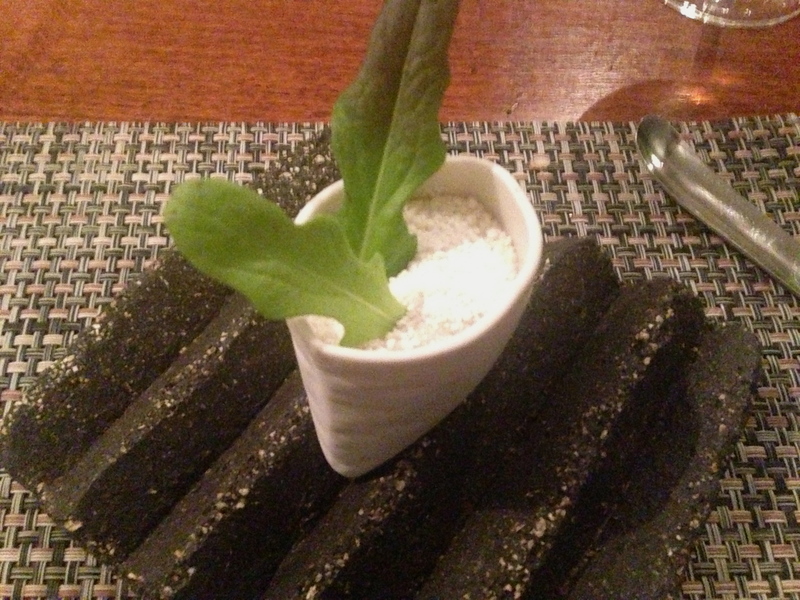 The two what I would call signature dishes I was served were “Valley venison, charcoal oil, mustard and fennel” – served rare the meat is given a charred flavour by dressing in oil infused with charcoal, and “cod ‘yolk’ with watercress and salt and vinegar” – slow cooked cod roe made to look like an egg yolk using saffron served with puffed rice flavoured with salt and vinegar. 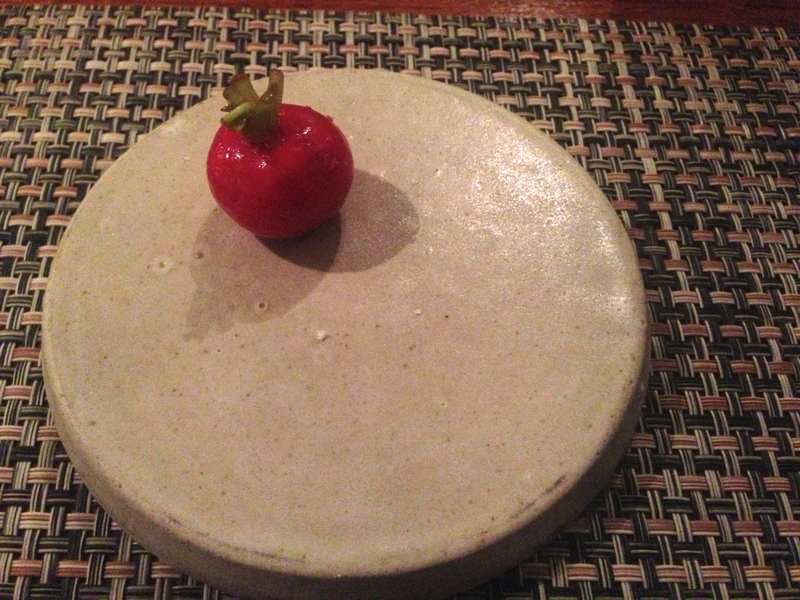 The food is fun and delicious made the meal on of the most memorable I have ever eaten alongside my first visit to Nobu in New York and Nathan Outlaw’s tasting menu, in Rock. 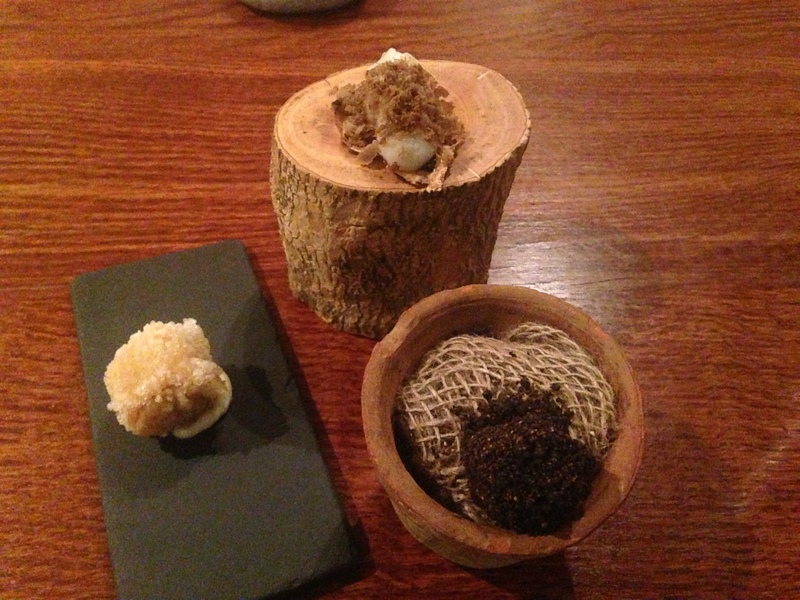 L’Enclume is delightful restaurant in a beautiful part of the world and I’m already to saving to return. 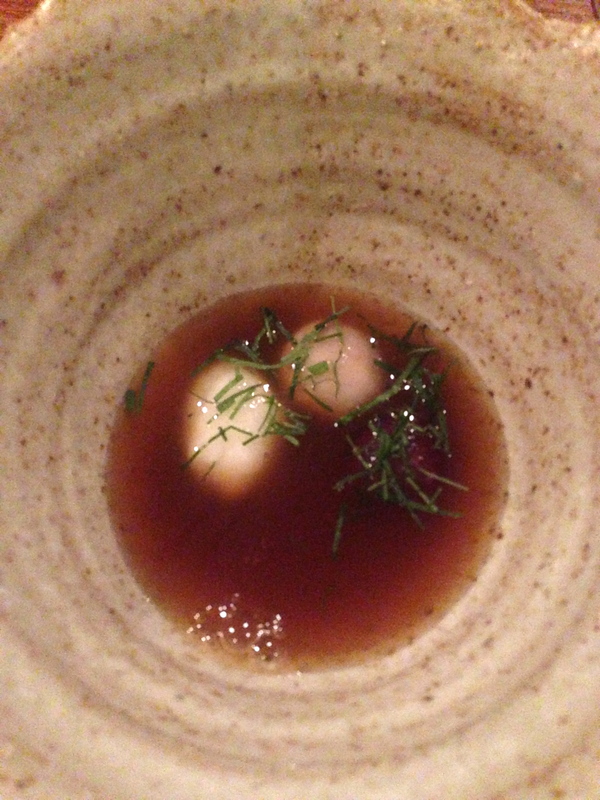 Egg, fermented garlic and kales. Shrimp, brown bread and lettuce. 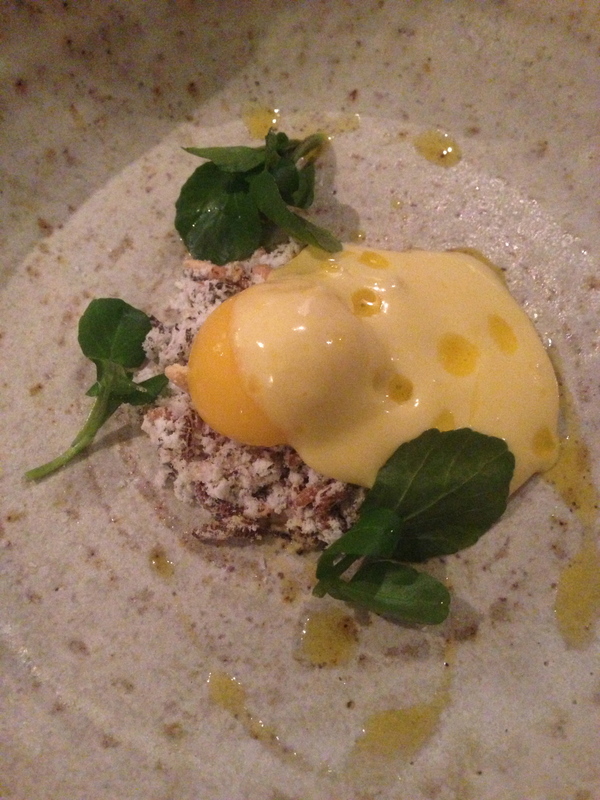 Cod ‘yolk’ with watercress, salt and vinegar. 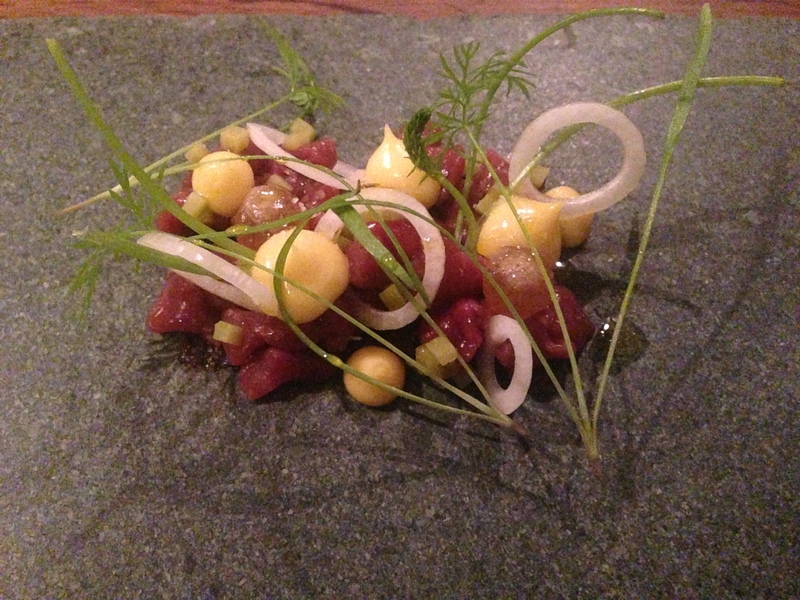 Valley venison, charcoal oil, mustard and fennel. 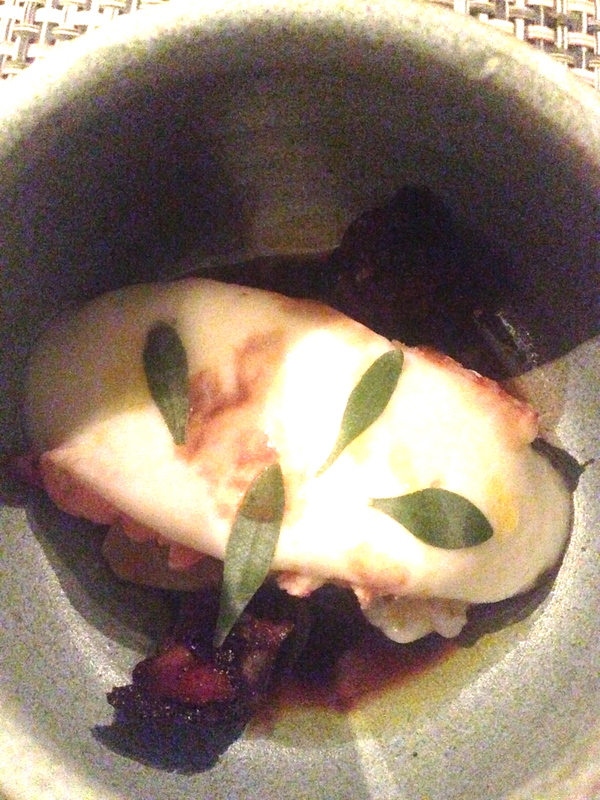 Langoustine, parsnip, black pudding, hazelnut and cured yolk. 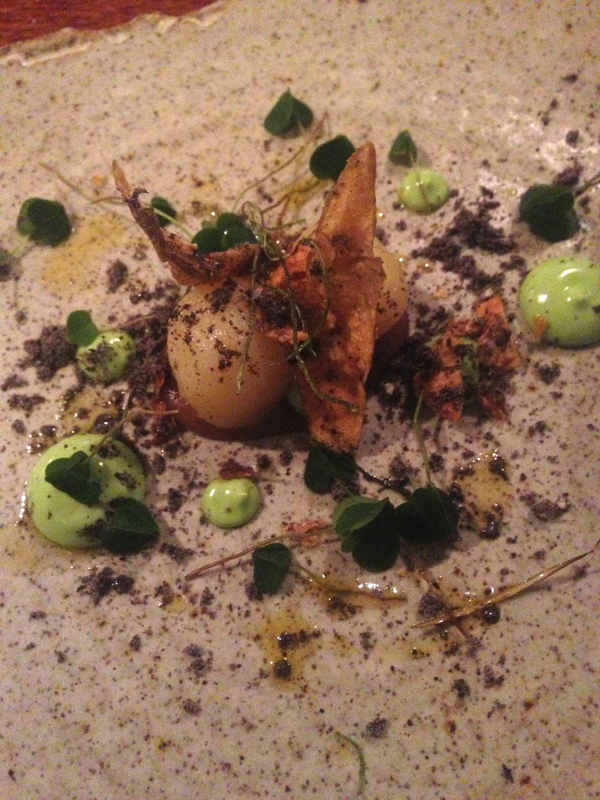 Potatoes in onion ashes, lovage and wood sorrel. 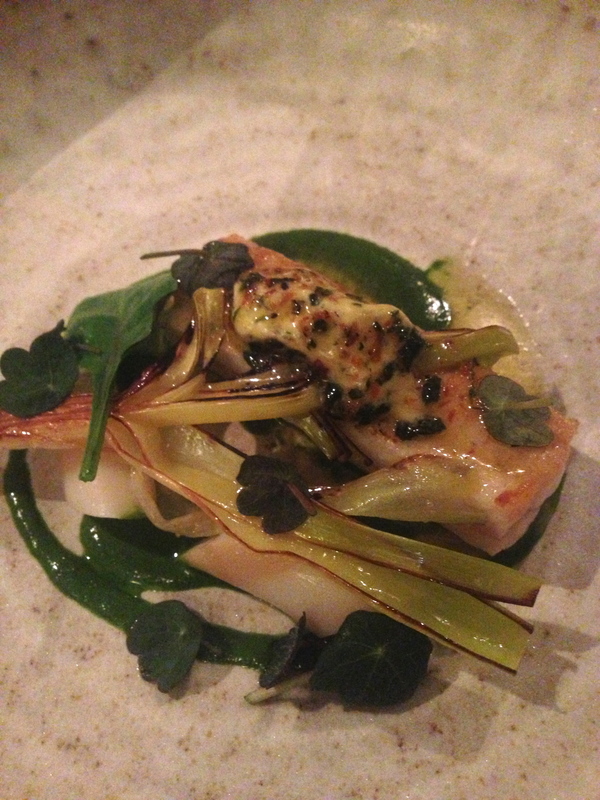 Butter poached dover sole with razor clams, leeks, nasturtium butter. 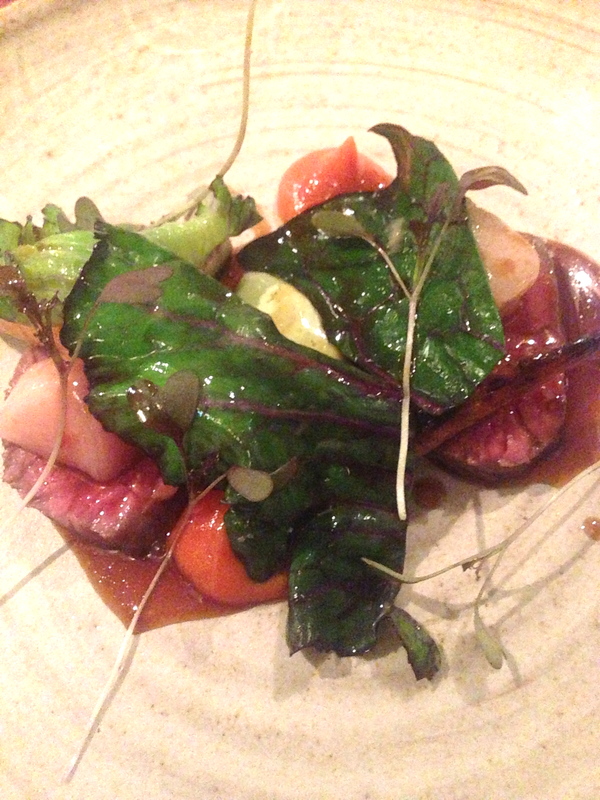 Aged Dexter, smoked marrow, grilled carrot and, dittander. 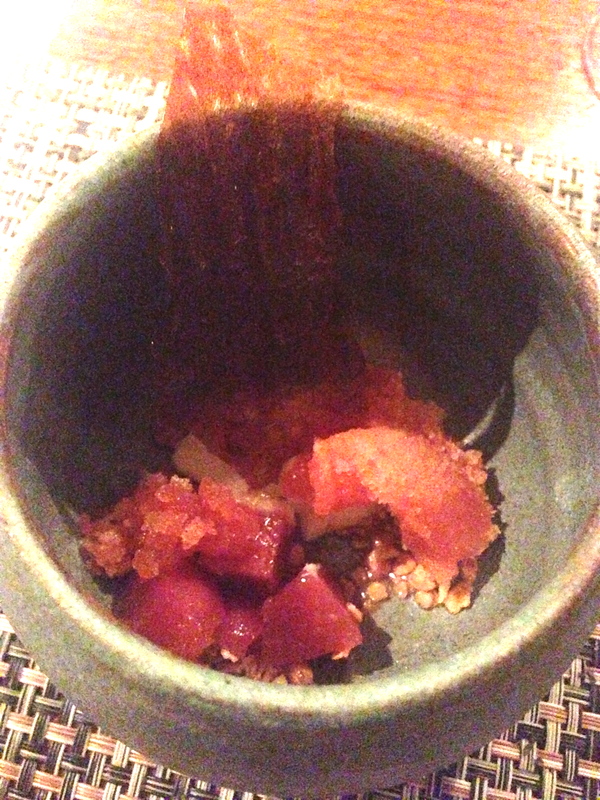 Buttermilk custard with caramelised quince, rosehip, muscovado, honey oats. 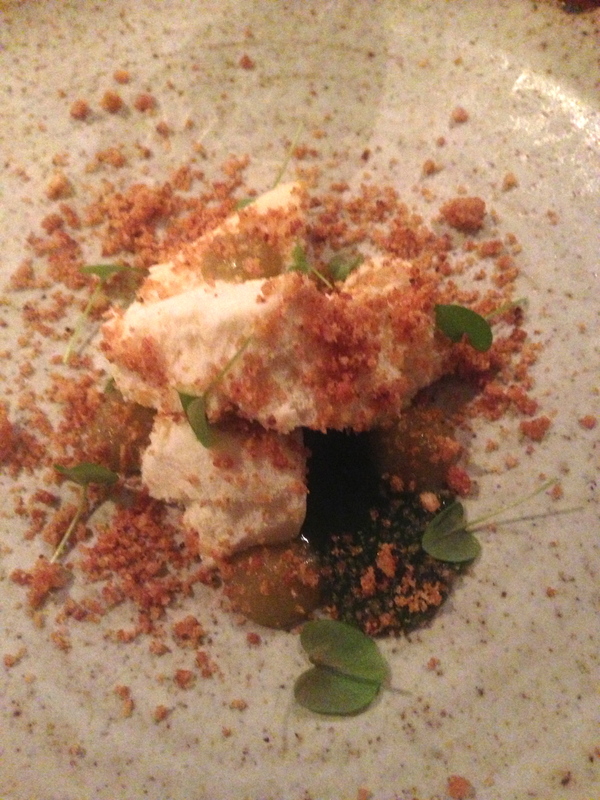 Meadowsweet, granny smith, sorrel, walnuts. 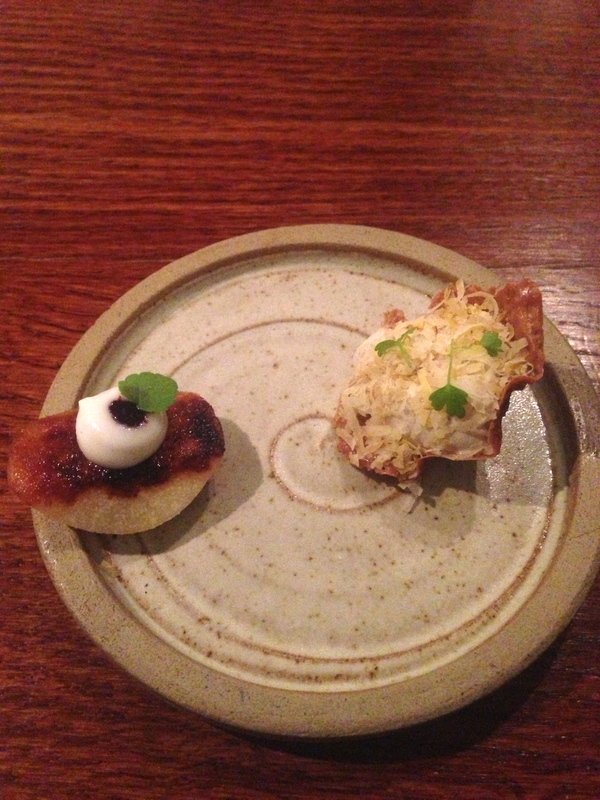 Celeriac, sweet cheese, woodruff.